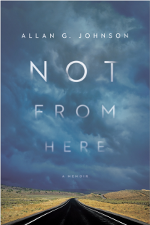 Not from Here is available in hardcover and Kindle editions. Order from Amazon.com, Barnes & Noble.com, and your local bookstore. To read the Prologue, click here. I am intrigued by “Not From Here”. After I have read it, I will give you what it has presented to me.Thank you.